Yesterday I visited Samuel Johnson's house in London. 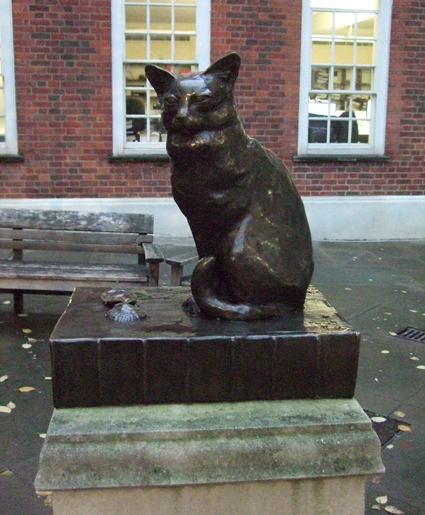 I'd walked past it many times over the years - and seen the statue of his cat Hodge outside - but this was the first time I'd had a look around the rooms. It is a lovely home with a friendly atmosphere and really gives an impression of the man who was the most famous writer of his era. 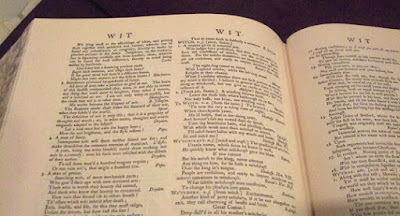 Dr Johnson is created the first large-scale English dictionary, published in 1755. Although there had been dictionaries before that, they hadn't been particularly good. This one was huge and was much better researched than any of the earlier ones. It took him nine years to compile. 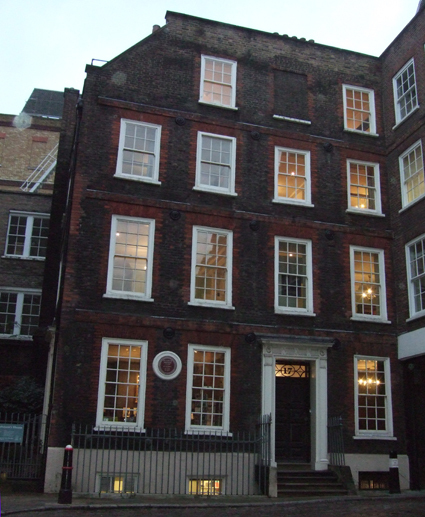 If you visit Dr Johnson's house, you can leaf through a copy of his dictionary, in the attic room where he worked on it. 1. A woman given to unlawful arts. Wife judges have prescribed, that men may not rashly believe the confessions of witches, nor the evidence against them, For witches themselves are imaginative; and people are credulous, and ready to impute accidents to witchcraft. Bacon's Nat. Hist. When I consider whether there are such persons as witches, my mind is divided : I believe in general that there is such a thing as witchcraft, but can give credit to no particular instance of it. Addison's Spectator. No 117. 2. [From pic, Saxon] A winding sinuous bank. He also defined "to witch" as "to bewitch or to enchant", "witchcraft" as "the practice of witches" and "witchery" as "enchantment". Witchcraft was still illegal in the 18th century, but the witchcraze was over and in the enlightenment many intellectuals were sceptical about it. Johnson's most famous quote, however, is about London: "When a man is tired of London, he is tired of life." I have to say that although I have lived in London all my life, I am still finding new places to visit and things to see and do, which is never tiring. "Page View, Page 2287." 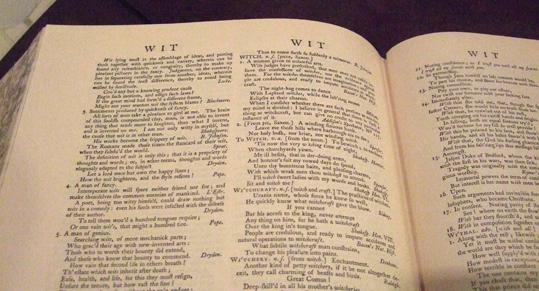 A Dictionary of the English Language: A Digital Edition of the 1755 Classic by Samuel Johnson. Edited by Brandi Besalke. Last modified: December 6, 2012. https://johnsonsdictionaryonline.com/page-view/&i=2287.